A ceremony to share merits gained for the eastern archway and 218 sections of walls collectively donated by families of Defence Services (Army, Navy and Air) and well-wishers for Maha Wizitayon Pariyatti Monastery in Chanayethazan Township of Mandalay took place at Sasana Hitakari Dhamma Beikman in the precinct of the monastery this morning. 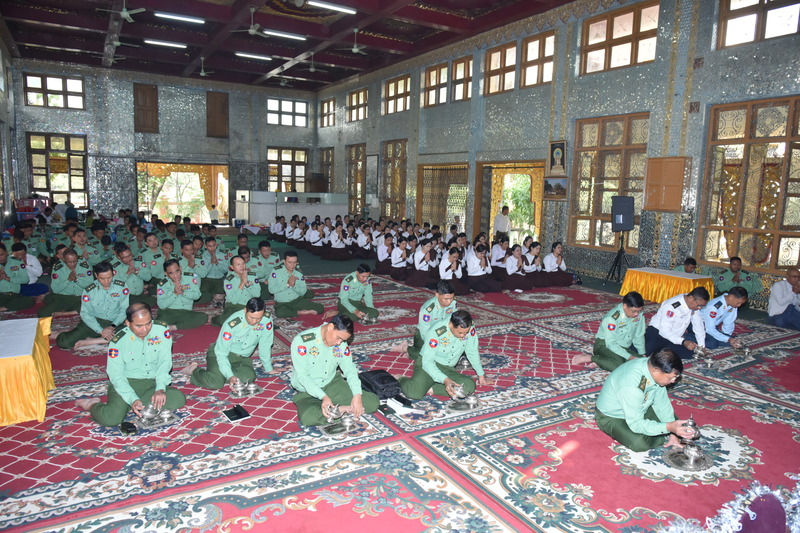 The ceremony was attended by State Ovadacariya Presiding Nayaka of Maha Wizitayon Pariyatti Monastery of Mandalay Agga Maha Pandita Agga Maha Saddhamma Jotikadhaja Abhidhaja Maha Rattha Guru Bhaddanta Vicarindabhivamsa and members of the Sangha, Commander-in-Chief of Defence Services Senior General Min Aung Hlaing, senior military officers from the Office of the Commander-in-Chief, the commander of Central Command, officers and other ranks. 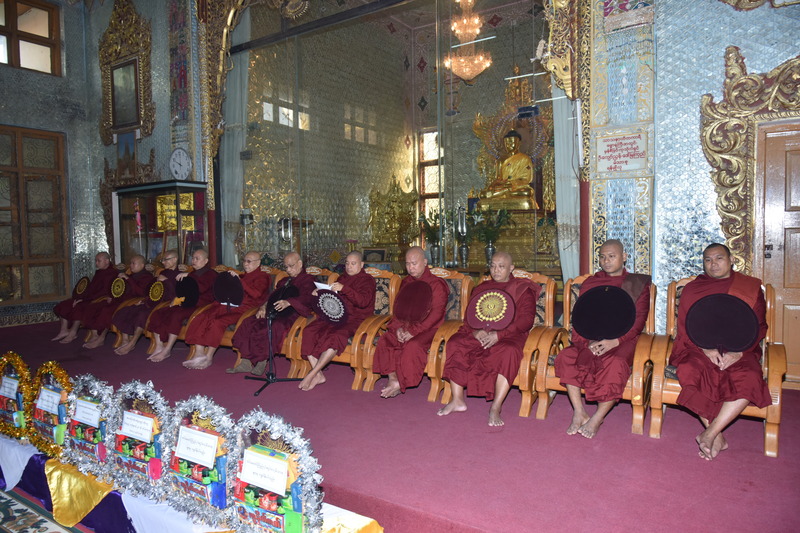 First, the Senior General and those present took the Five Precepts from the Presiding Nayaka Sayadaw of Maha Wizitayon Pariyatti Monastery. 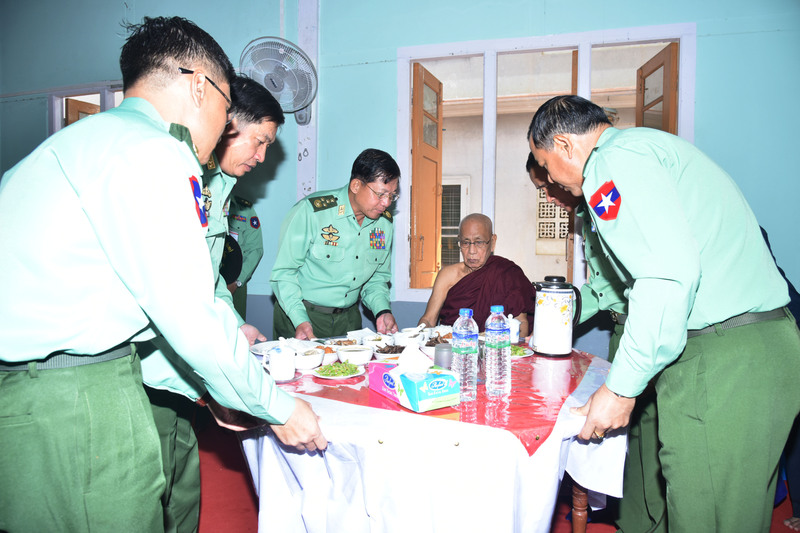 The Senior General offered alms to the Presiding Nayaka Sayadaw and made cash donation to be spent on nine prerequisites for the birthday ceremony of the Sayadaw. 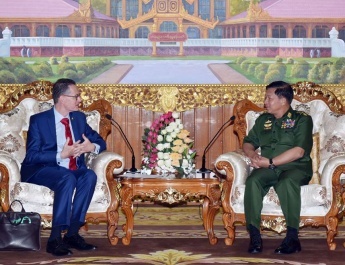 Adjutant-General Lt-Gen Hsan Oo offered cash donations of families of the Defence Services (Army, Navy and Air). 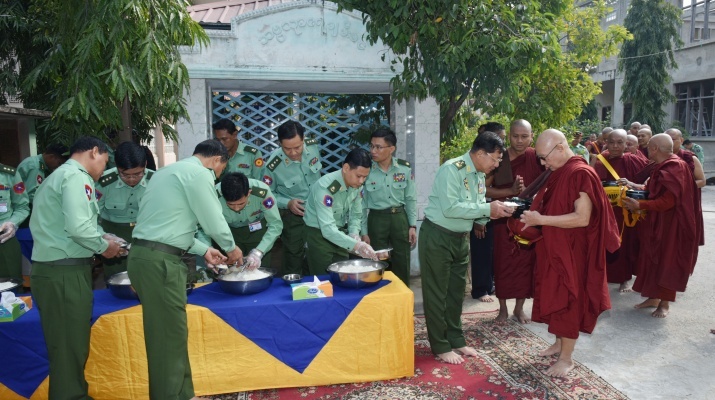 Then, senior military officers also donated offertories to members of the Sangha. Patron of Lecturer Sayadaws of the monastery Dhamma Yadana Sayadaw Bhaddanta Carana delivered a sermon, followed by sharing of merits gained for all donations. Next, the Senior General and party offered day alms to members of the Sangha. 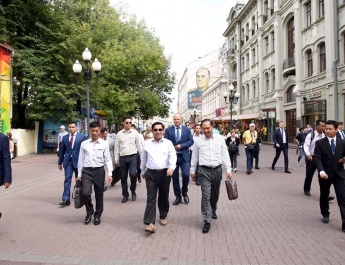 The Senior General and party inspected construction of the recreation park for public physical exercises near Kyaw Moe Gate (Mingala Bridge) on the southern part of the walls of Mandalay Royal City and maintenance of the walls of Mandalay Royal City. 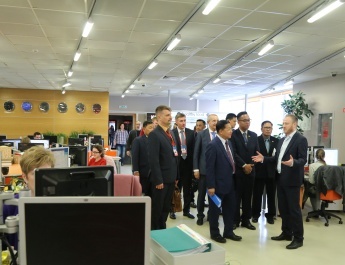 Officials conducted them round the sites. After hearing the reports, the Senior General instructed officials to carry out tasks for enabling the people to take physical exercises and sports free from danger at the designated places between the walls and the moat near the gates in east, west, north and south sides of the Mandalay Royal City, maintain the ancient works of the walls under the approval from the Department of Archaeology and National Museum and protect such walls of the royal city without damage.